Preventing Puppy Separation Anxiety | Canine Perspective Inc.
Puppy separation anxiety is a very common behavior issue I work with, and – in my opinion – it’s more difficult to address than aggression. The reason is because it’s the relationship that’s been established between the puppy and the owner that’s driving the anxiety. Believe it or not, the puppy decides the dynamic during the first meeting, and once separation anxiety settles in, addressing it without the use of aversive methods will result in close to no progress in most cases. 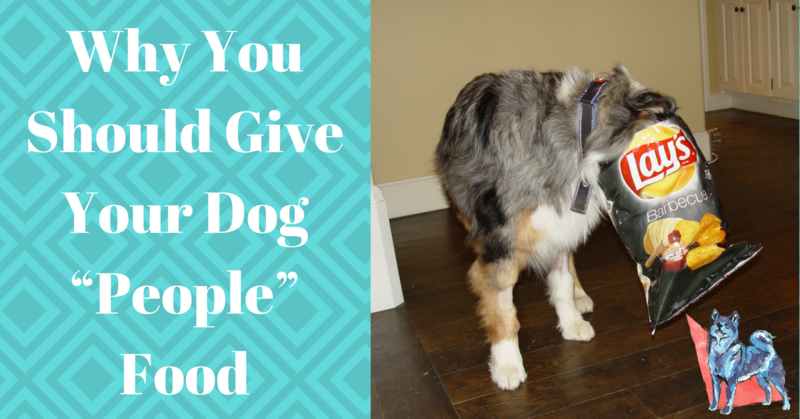 That’s why I’ve put together 3 ways to prevent your puppy from developing separation anxiety. 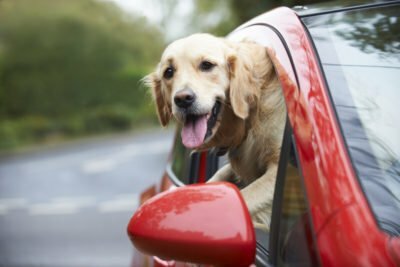 Many first-time puppy owners will take their vacation time when they adopt to help ease the puppy into the new home and work on potty training. This is a great idea, except that most people spend every single minute they can spare with the pup, which can be detrimental. It takes two weeks for a dog to find their place in a home and get a feel for what the structure is, so constant contact with the owner is not good if they are not also taking steps to teach them to be independent. To the puppy, the owner always being present becomes the norm. And when the day comes where the owner has to leave for work for 8 hours, it puts the puppy under stress because they were so used to having them around 24/7 for the first few weeks. To help prevent an unhealthy attachment from developing, I suggest owners utilize a crate to separate themselves from the puppy for various lengths of time throughout the day while they are home and when they are away. Put the kennel in a room where you will not be visible and the puppy will not be audible – should they bark. Covering the kennel with a blanket or towel will help muffle the barking. I’m not a big fan of covering the front of the kennel completely as I want there to be some airflow, but that’s where a lot of the sound comes from. You can work the drape as you see fit to cancel out the noise, but just ensure the enclosure doesn’t get too hot. Especially for long- or thick-coated dog breeds. You want to make this period away from you a routine, and you want to start this day one. Putting the puppy in the cage a couple of times each day for roughly the same lengths each time will help get them used to being away from you. Expect barking to occur, but remember, once you’ve placed the puppy in the kennel, you do not want to let them out. That is very important! The barking should begin to subside quicker with each passing day with the first day being the longest. 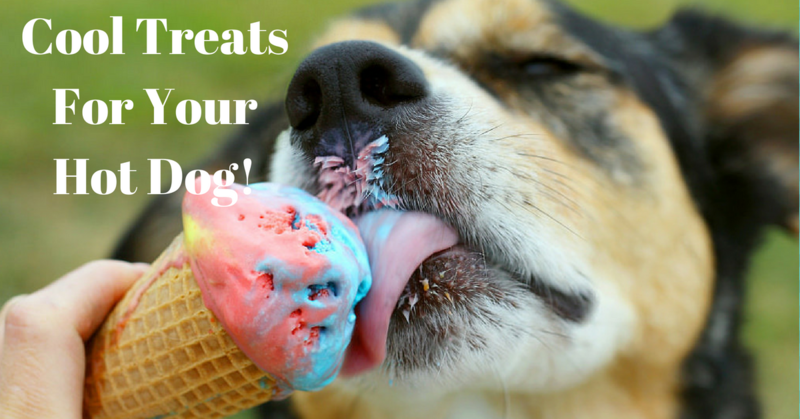 If you let your dog out because you cannot tolerate the barking, you are only setting yourself up for more work the next time you put them in the kennel. That is why placing your dog in a room where their sound will be minimal is ideal. The barking is to communicate to you that the puppy wants to be let out, but as they learn their barking does not garner them any attention, it will subside. Do not place the puppy in the kennel as a timeout for misbehavior or if they’re running around because they’re overstimulated, as you are setting yourself up for a very long period of barking. Timeout is not a concept that dogs understand because they are not capable of reflecting. Placing your puppy in their crate for these reasons will not communicate that their behavior is negative, it is simply an ineffective form of punishment. Proper crate training will help your puppy see the crate as a positive experience, causing them to look forward to going in it. So, instead of feeding them in the kitchen – or wherever else you intend to – feed them in their kennel. Take their bowl and lead them inside the crate using the food as a lure. Once they are completely in, place the bowl in the kennel and close the gate. Walk away and give the puppy 5 minutes to eat their meal. Remove the bowl once the time limit is up, even if they don’t eat because they are barking, whining or they are stressed while they are in the kennel. Don’t let them eat until the next meal. Do not try to come back and help them eat and most definitely do not open the crate to let them out to eat. You want to establish firm boundaries from day one, and being lenient while establishing structure will just create a lot more work for yourself and stress for the puppy in the long run. Your puppy will not starve itself; it goes against instinct. At some point your puppy will learn that they only have so much time to eat their food and they will do so. If your puppy is a slow eater and goes beyond the 5 minutes, that’s OK, as long as they do not show disinterest or begin to exhibit anxious behavior. Also, do not adjust their later meals to include the missed meals; you want to keep the servings the same. So if your puppy gets three 1/3 cups of food a day, then each meal is going to be 1/3 of a cup, even if they didn’t eat the first two cups. You want the puppy to understand that only so much food comes down each time for a limited time. That way, they begin to love the crate. Aside from feeding, I also like to lock edible chew bones or KONG toys with peanut butter inside the crate, and lock the puppy outside of it. At some point, they’ll catch the sent and begin to paw and whine to get inside. I’ll let them do this for 5 – 10 minutes to build frustration and then let them in, closing the gate behind them. I only allow them in there for 15 minutes and then I’ll release them from the kennel and remove the bone or Kong from the kennel as well so that they go back in looking for it. If they were whining instead of enjoying the bone, they’ll think that it only appears in the crate for a limited time and that it disappears once they are out of it, and that next time they should actually engage with it. Lastly, only give the rewards of designated chew bones, KONGs and other long-lasting treats when the dog is in the crate while you’re gone. That way, they start to see you leaving as a positive because that is the only time they get these specific treats. I do not recommend leaving toys – or other objects the puppy can destroy and ingest – that are not intended to be eaten. You do not want to come back to them after they’ve eaten the squeaker out of a toy. I’m also not a fan of Nylabones or other synthetic bones and rawhides as they can break up in long strips that can get caught in your dog’s throat. 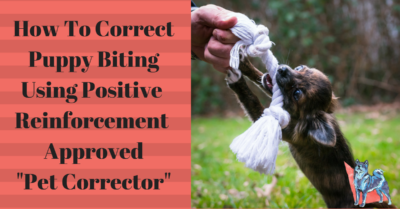 A great tool I’ve started to use more with my puppy clients is a Pet Corrector; it’s a can of compressed air that makes a loud hissing noise. Depending on the personality of the puppy, the noise can have great to little response from the dog. In cases where the sound has no effect, I’ll spray toward the rear of the dog, making contact (be careful not to get it in their eyes or mouth), which startles them more times than not. At this point, the puppy has a connection to the sound, which empowers it so when they do hear the hiss, it means something. Once the puppy recognizes the correction, I begin to correct them for everything. Chewing, barking, jumping, climbing on furniture, stealing things that are not theirs, etc. Each time I catch them in the act of these things, I simply give them a blast without warning. You do not want to say “No” or “Stop,” as they will become cues, and we want the puppy to learn to stop doing those things altogether. This helps to bring your puppy’s stimulation level down; with each rule we implement, the calmer they become. Over time, they will learn there are consequences, and that they can’t just run around and do anything they want. Unfortunately, that can lead to barking, demanding they be let out. 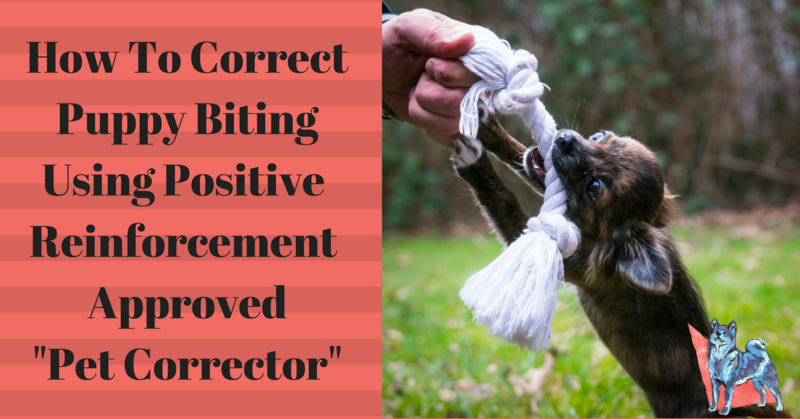 If your puppy responds well to the Pet Corrector, you can also use it to address barking when you are home. As soon as the puppy begins to bark, you walk into the room, open the gate – if necessary – and give them a blast of the corrector (again, careful with the eyes and mouth), shut the gate and leave. If they bark or whine again, walk back in and repeat. You are at no point to let the puppy out; it is simply to teach them to stop barking. And this will not make the crate a negative space, as the correction is happening in response to their barking. If your puppy continues to bark even after the corrections, that means it’s ineffective for addressing that behavior. Revert back to leaving them in the kennel until they learn that barking will not get them any kind of attention, and that they have to learn to be independent. Cool Treats For Your Hot Dog! Does Uber Allow Dogs in Chicago? What About Lyft? Which Chews Should You Choose?